Valentine’s day love from the loft! The weekend is almost here! Yay! This means Valentine’s Day is also almost here! Of course, here at Sugar Fix we love, LOVE! 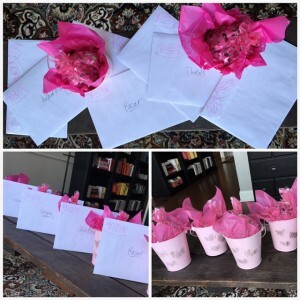 Team Sugar Fix shared our love this week by hand delivering “Thank You” Valentine’s cards and chocolates to local business that we feature on our website. We love what they do and love what they bring to our neighborhood and the Lakeview community. Dr. Emery has been away this week with her family. For those that follow our Instagram feed @sugarfixdentalloft or her personal page @thedentaldiaries, you feel the warmth from the pictures she is posting from the Cayman Islands. She is in touch with the office and reading great business books. The latest is ‘Start with Why’ by Simon Sinek. This week was extremely beneficial in that there was alot of team building time with the Dr. Emery being out. We were able to really implement all of the knowledge we received from the Blatchford Seminars/ continuing education 1/28-1/29 and 2/4-2/5. The team worked diligently to format the information and we are pumped for next week! 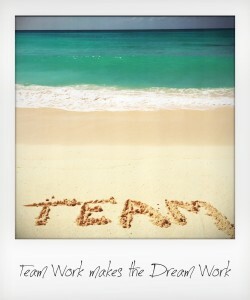 Let’s Go Team! Our featured case was actually completed February 3, 2016. This is another tremendous Cerec restoration case that went off without a hitch. Our patient was seen for treatment on the right side of his mouth. It was ideal to work on both the upper and lower teeth at the same appointment so that we could make them perfectly to fit with one another. This patient had old silver fillings, which most of us do, that had broken down. Bacteria had entered cracks in the tooth around the old fillings causing tooth decay. The process was really rather simple. 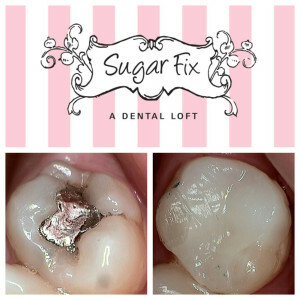 Dr. Emery removed the old silver fillings, any cracks associated with it and of course the decay around the filling. After the “prep” was established, clinical partners Ashley and Nicole scanned the teeth using a camera that captured the tooth’s image and formatted it into a 3D model. From this model the girls design inlays/ onlays/ crowns that fit perfectly into the patients prep. This information is sent to our in house milling unit that creates the restoration on an average of 8 minutes per tooth. Time depends on the material selected. Cerec’s incredible software makes dentistry so efficient and the quality is far superior. It also saves the patient time and they don’t have to wear any type of “temporary”. The ceramic restorations are then bonded into or on the natural tooth giving it the highest strength with the most gorgeous esthetics. We restored 6 teeth all together and the results were beautiful.